Many people ask me how they should initially go about connecting with or opening up to their own Ancestral spirits. Although there are many articles on this sort of thing throughout the internet, I’ve decided to go ahead and write one myself. Initially – you can start out with a simple glass of water and a candle, set in a space specifically for the connection you’re trying to initiate. Ensure that you only place items respectful of the connection that you wish to have in this space. This is the first overture that you’ll be making with your Ancestors, so it’s important to be reverent and respectful about this space. It is, after all, going to be a physical representation of their place in your life from here on out. When you start feeling a little more comfortable with the connection that you’ve cultivated, you may want to upgrade – to give your Ancestors a larger space, or place of honor, within your house and your life. One of the best ways to do this is to establish and set up a Boveda. A Boveda is a spiritual tool/shrine that a spiritualist/espiratista uses when connecting with their Ancestors. Although the Boveda is primarily Christian, you can choose to use elements more in tune with your own spiritual path – but, do keep in mind that a great many of our own Ancestors were Christian, and as a sign of respect to them, you may want to keep the Christian elements. You’ll want to ensure that you set your Boveda up in a quiet, meditative space in your house. It needs to be a place where you won’t be easily interrupted when communing with it. When initially setting up a Boveda, you’ll need to cleanse and bless the table itself – washing it using holy water or a mixture called blue water with florida water, casarilla, laundry bluing squares and white flower petals. While you’re doing this, you need to keep your intent focused on what you’re doing – do your best to keep your mind from wandering. 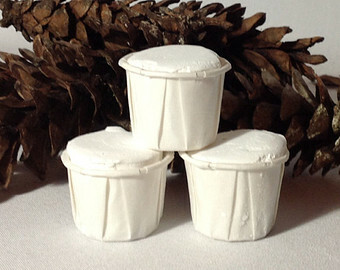 This needs to be a very mindful, ‘in the moment’ activity. During the process of cleansing/blessing the table, you can also choose to focus on the spirits in your lineage who have passed who you wish to get in contact with. 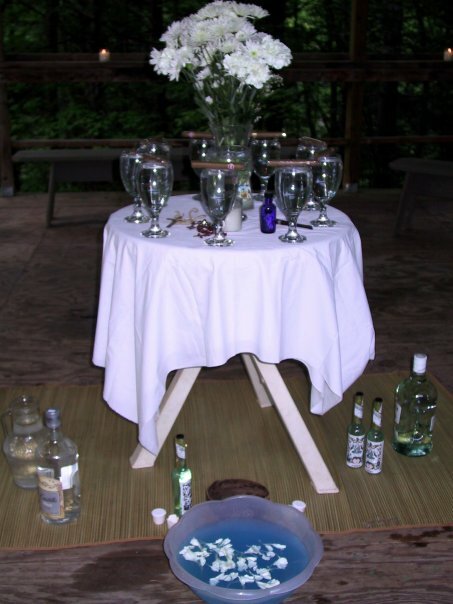 After the table has been cleansed and blessed, you’re going to want to draw a small white cross in the middle of the table with either cascarilla or chalk. Once this has been done, place the white cloth down and begin to arrange the other elements on the cloth. The large clear glass (I’ve seen spiritualists use large brandy snifters) is usually placed in the middle, with the nine glasses arranged around them. Initially, while your Boveda will look a bit like the one above, keep in mind that it may morph or shift as your connection with your Ancestors grows stronger. Some Ancestral spirits will end up telling you how they want it to look, whether they want certain elements or images added to or taken away from the Boveda. Usually, the crucifix is placed in the middle glass. When all the glasses have been placed, you’ll want to fill them as closely to the rim as possible. The water will act as a draw for negative energies around your house, which is why you should refresh the water on your Boveda weekly. Dispose of the water in a way that takes it away from your house – I usually flush it down the toilet, then refill the glasses, taking care to be mindful of your connection and keeping your ancestors in your thoughts as you do so. You don’t have to keep the candle lit when you’re not physically tending to the Boveda, but there are many spiritualists who always keep a ‘light on’, as it were, for their Ancestors. 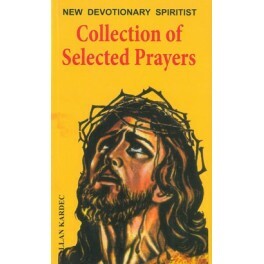 You’re also going to want to pick up a copy of the ‘Collection of Selected Prayers’ paperback by Allan Kardec. The prayers in this book are selected to offer respite for various suffering spirits, and are good ‘catch all’ prayers to read to initiate a connection with your Ancestors. To strengthen the connection, you can choose to cook special dishes that relatives loved when they were still alive. By offering our Ancestors food from our table, we’re providing an active place for them in our lives. We help them to realize that we still remember, that we still care. I also play music or sing songs that my Ancestors liked to bring them closer, to integrate them into my life. For Ancestors who perhaps haven’t been propitiated directly in years, this is a soothing balm to their spirit. Over time, finding pictures of past Ancestors to place on the Boveda will also work to strengthen the connection. As you work to establish your connection to your Ancestors, you may start having what seem like very odd dreams. You may want to work to keep a dream journal by your bed so you can write these down. Sometimes these dreams are messages from our Ancestors that can help us with things that we’re currently encountering in our lives. Your Boveda will be one of your strongest tools for spiritual enlightenment and assistance, so you’ll want to tend it often. The connection you forge with your ancestors will also be your strongest protection against possible paranormal issues you may encounter in your life. Never casually dismiss the connection that you’re working to build with your Ancestors – or your Ancestors themselves. It is said that we stand on the shoulders of those who came before us. Through them, our roads can open – but through them our roads can also close.